According to the World Health Organization, depression affects some 300 million people worldwide. Commonly treated with antidepressant medication, the side effects can often be unpleasant and include nausea, increased weight gain, insomnia, irritability, and sexual problems. Some research has shown people can develop a physical dependence on these antidepressants (such as Prozac), resulting in the increased likelihood of future drug abuse. In light of recent findings of medical marijuana benefits in the treatment of depression, neuroscience is paving the way for interesting discoveries of the benefits of marijuana extracts with fewer side effects than traditional medications. Researchers at the University of Buffalo’s Research Institute on Addictions (RIA) have presented findings showing evidence that medical marijuana can be used to effectively treat depression. Other research has shown that the active ingredient in marijuana, delta-9-tetrahydrocannabinol (THC), can also have a positive effect on the endocannabinoid system, and other naturally produced chemical compounds in the brain that affect emotions. Although the scientists caution that their research is preliminary, they mention that the animal models that were studied showcased positive results and go on to say that they have seen people who suffer from PTSD report benefits from using medical marijuana. The Buffalo researchers will be furthering their research to determine if cannabidiol (CBD), a marijuana extract, restores normal behaviors in animals without leading to dependence on the treatment. In another study produced by McGill University titled Cannabis: Potent Anti-depressant In Low Doses, Worsens Depression At High Doses, the researchers conclude the active ingredient in cannabis to be an effective antidepressant at low doses. However, when the animal test subjects were given increased cannabinoid doses, the benefits of the drug were undone. As the McGill University study above mentions, controlling the dose of cannabis can be challenging and lead to the worsening of depression in situations where the dosage is increased. "Low doses had a potent anti-depressant effect, but when we increased the dose, the serotonin in the rats' brains actually dropped below the level of those in the control group. So we actually demonstrated a double effect: At low doses it increases serotonin, but at higher doses the effect is devastating, completely reversed,” said Dr. Gabriella Gobbi of McGill University. This detail also highlights additional mention of marijuana usage as a contributor to depression, but there has been no clear evidence that marijuana directly causes depression. Most people experience feelings of depression for short periods of time, including feeling unhappy, sad, or blue. Clinical depression, however, is a mood disorder classified by more prolonged feelings of sadness, loss, anger or frustration. These feelings tend to interfere with everyday life for weeks at a time or in some cases, longer. Depression can occur in people of all ages, including children, teens, adults, and the elderly. Children tend to have different symptoms than adults, which may include apathy, irritability and persistent sadness. Major depression: Major depression or “major depressive disorder,” is feelings of depression most of the time or most days of the week. Persistent depressive disorder: A form of depression characterized by feelings of depression lasting longer than two years. Postpartum depression: Women who experience depression in the weeks or months following childbirth. Premenstrual dysphoric disorder: Periods of depression in women that begin at the onset of the period. Seasonal affective disorder (SAD): A type of depression characterized by onset during the winter months when there is less natural sunlight. Major depression with psychotic features: Occurs when a person has major depression plus some form of psychosis such as delusions. 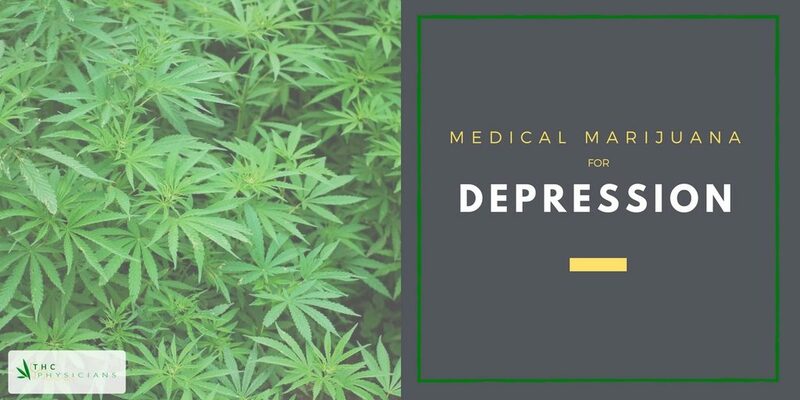 In addition to medical marijuana for depression treatment, the more typical treatments include medication, psychotherapy, or a combination of the two. Medications: Doctors commonly prescribe antidepressants to those who suffer from depression. These drugs are aimed at improving the way your brain uses chemicals to control moods, similar to medical marijuana drugs. Patients with depression have shown positive results with the usage of medical marijuana. 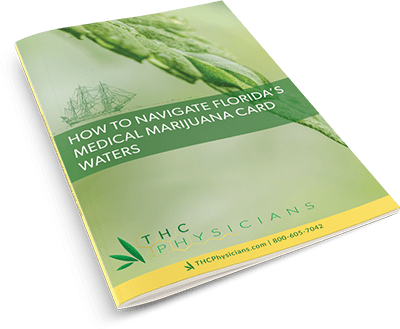 If you are interested in trying medical marijuana for your depression or are inquiring for a loved one, you should first seek out your state laws to determine the legality of the drug in your state, the types of medicine you can use, where to get it, and how much you need.